In April 2015, under pressure amid a proposed merger that would expand its reach to 60% of Americans’ homes—which would have devastating consequences for consumer protections—Comcast dropped its bid to takeover Time Warner Cable. This was a major victory for the hundreds of thousands of individuals who spoke out in opposition to the takeover, including Demand Progress members. 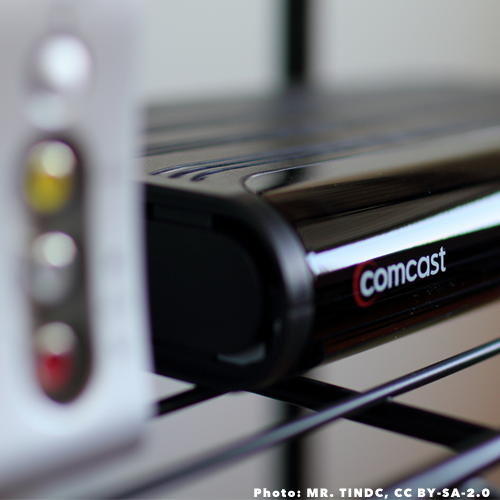 Comcast’s intentions to get even bigger with this acquisition were met with significant skepticism from the start. The company’s well-known reputation of poor performance in the customer service arena was a red flag for consumers all across the country—but even more concerning was the lack of any viable broadband or cable options beyond Comcast in their markets. By sending this message to company executives, Congress, FCC Commissioners and the media, the more than 100,000 Demand Progress members who took action effectively shut down one of the biggest and most influential corporations in America.